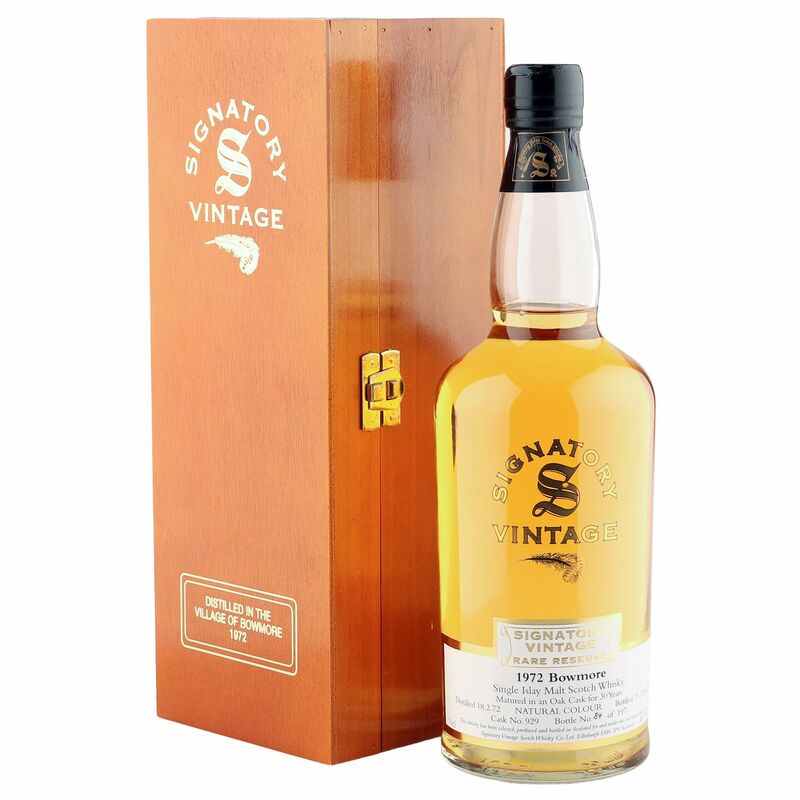 This very rare 30 year old Islay single malt was laid to rest at the Bowmore distillery on the 18th February 1972 and bottled by Signatory Vintage for their Rare Reserve range on the 19th February 2002. 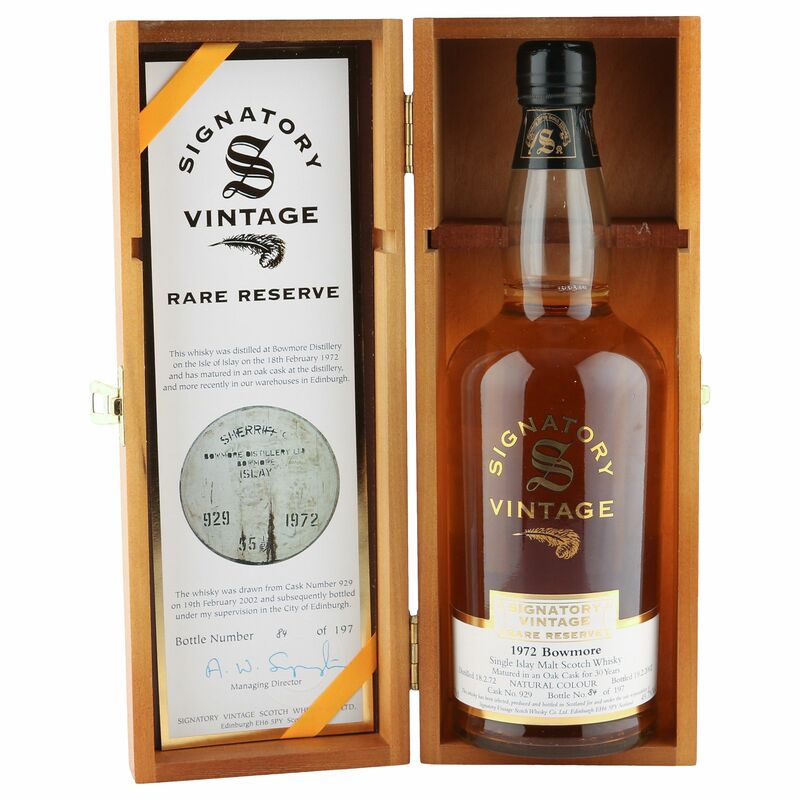 One of just 197 bottles yielded from oak cask number 929 at a natural strength 49.7% ABV, this highly sought after vintage comes in great condition complete with original wooden presentation case and COA insert. If the contents of its sister cask 928 are anything to go by, racking up a massive 94 points on WhiskyFun, then this should be one hell of a treat!